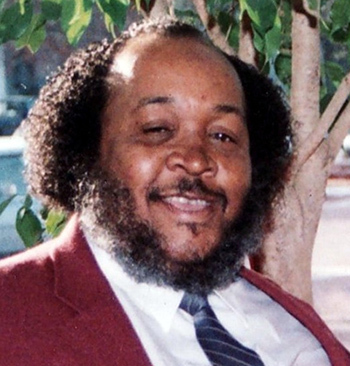 James E. “Rudy” Perkins, Jr., 71, of New Haven, entered eternal rest on September 15, 2018. He was the beloved husband of Lillie E. Perkins. Mr. Perkins was born in Whiteville, NC on December 13, 1946, a son of the late James E. Perkins, Sr. and Rheedes Perkins. He was honorably discharged from the U.S. Navy and prior to retiring, James was employed at Pratt & Whitney Aircraft as a Foreman. In addition to his wife, he leaves to cherish loving memories, daughters, Tiara T. Valentino-Perkins and Sharon Marie (Carleton) Nealy-Barbour; and a host of other relatives and friends. A celebration of Mr. Perkins’ life and legacy will be held Monday, September 24, 2018 at 11:00 a.m. at Bible Gospel Center, 143 Leeder Hill Dr., Hamden. Viewing and visitation will be held at the church from 10:00-11:00 a.m. Burial will be in Evergreen Cemetery. Our deepest sympathies go out to you and your family. Our prayers and thoughts are with you all at this very difficult time. Please know that we’re here for you in whatever you may need. With Love, Ida Mae & Family. Keep smiling and remembering the many good times you spent together. God bless you. ON BEHALF OF BISHOP AND PASTOR PETERSON AND THE GLORIFIED DELIVERANCE CENTER CHURCH WE CONTINUE TO PRAY YOUR STRENGTH IN THE LORD!! To our dear Friends….You have our most deepest condolences and more importantly, our prayers at this difficult time. My sincerest condolences to the Perkins Family. May God’s grace and peace be yours during this difficult time. I love you. GOD’S blessings to you Eloise and Tiara. We all loved Rudy and will surely him. My prayer is that God will hear our prayers for you both and lighten any and all burdens you carry through this difficult time. I am very sorry to hear about James. My deepest sympathy to you and your family. Please know that James and your entire family are in my prayers. Lillie, may God comfort you and your family at this difficult time. I’ll keep you in my prayers. We extends our deepest sympathy at this time and want to let you all know that we will keep each of you in our prayers. My sincerest condolences and prayer for you and your family at this time. Sending love and prayers your way. I am so sorry to hear Rudy passed . I just learned of it today . I lost my husband , so l know how you are feeling . If I can be of comfort to you in anyway please let me Know . I love you and I am keeping you in my prayers .